South Terrace is a dedicated team of Hairstylists conveniently located in the Centrepoint Shopping Centre. At South Terrace we stock and recommend the full range of L’oreal Professionnel products, Pureology Professional Shampoo & conditioner and styling range and the Matrix Professional shampoo, conditioner and styling range. There is always someone who can provide advice and ideas if you need them. We offer a wide range of services in hair from Colours, Perms, Keratin Smoothing, Style Cuts and Blowdrys, straightening & curly & hair-ups for all your special occasions. We also stock a range of Locketin jewellery, homewares and gifts. 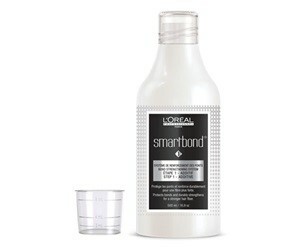 Protects hair bonds and strengthens the fiber during colour services. 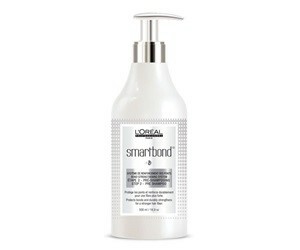 You can also experience Smartbond as a standalone treatment. Pre-Shampoo to be applied on hair after rinsing colour or lightening. Pre-Shampoo provides nourishing care whilst repairing the hair. Leaving it stronger, shinier and healthier. Take the power of Smartbond home! 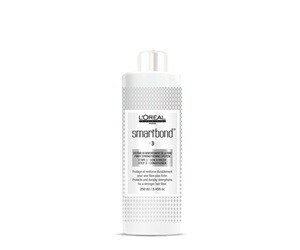 Smartbond Conditioner is enriched with ceramides to nourish, strengthen and repair your hair. Use once a week, just like a conditioner. Where fashion is constantly changing & the focus of our work is to bring our clients the most up to date hairdressing techniques without compromising their own needs and what they really want. A team culture where all staff members work together positively and support and share ideas with each other. Where clients stay loyal because they experience a relaxed atmosphere where conversations are encouraged but with a high level of individual attention provided by professional caring staff. We only use premium products as they give a guaranteed result and we are also responsible for the health & well-being of the client. We believe in ongoing technical & self-development education & training and the sharing of information as this is of paramount importance to the growth of our people and business. At South Terrace the training of our apprentices is very important. We give the girls the chance to bring in models to do their training. So if you would be interested in being a model for discounted prices, then please call us or drop into the salon to ask for more information.